Basically, Lutherans believe that a person is saved only by the grace of God through faith in Jesus Christ. Lutherans believe in Jesus Christ as their Lord and Savior. Lutherans believe in the Triune God: Father, Son and Holy Spirit. Lutherans are a part of the One Holy Catholic and Apostolic Church confessed in the Creeds. Lutherans understand the church to consist of all those who believe in Jesus Christ as their Lord and Savior. Lutherans believe that human beings sinned in the beginning of human time and that this sin resulted in a destruction of the relationships between God and his people; between human beings; and between the world in which we live. Therefore, everyone born into this broken world begins life in a sinful existence. Lutherans believe that God, and only God, through GRACE is capable of restoring human beings to a relationship with himself. This GRACE takes place at the initiative of God through the suffering and death of Jesus Christ, which fully and completely restored the relationship between God and his people. Lutherans trust in this graceful activity of God in FAITH in Jesus Christ. Faith is not an activity on the part of human beings, but rather the acceptance of what God has done. Lutherans believe that God has revealed this message of hope through the HOLY SCRIPTURES. Lutherans believe that the Holy Scriptures constitute the norm of all faith and practice within the church. Lutherans accept all three of the ecumenical creeds--the Apostles', the Nicene, and the Athanasian Creeds as summaries of the teachings of the Bible. Lutherans also accept a number of sixteenth century documents incorporated in the Book of Concord as further explanations of Scripture over against abuses and misunderstandings that had entered the teaching and practice of the Christian Faith. These writings are the Augsburg Confession and the Apology [defense] of the Augsburg Confession, the Smalcald Articles, Dr. Martin Luther's Small and Large Catechisms, and the Formula of Concord. Lutherans understand the Sacraments of Baptism and Holy Communion [the Eucharist], along with the Word of God as Means of Grace whereby God conveys both faith and forgiveness. Lutherans have used a more restrictive definition of "sacrament" than has the historical church. Lutherans believe that a sacrament is instituted by Christ himself, has visible means, and conveys the forgiveness of sins. Under this definition only Baptism and Holy Communion are recognized as Sacraments. The other five historical sacraments of the church [penance (confession and absolution), confirmation, marriage, orders, and the sacrament of the sick] are seen as important, but a step below the sacraments of Baptism and Holy Communion. Baptism is an act of God in which He makes a person His own. Since the action is on the part of God and since Lutherans believe that all, including infants, are a part of this sinful world, there is no restriction on the age of baptism. In emergency situations an infant may be baptized at birth. A person is baptized into the Christian Faith, not into a particular denomination. Therefore, the Lutheran Church accepts as valid the baptism of any denomination as long as it is done with water and in the Name of the Triune God: Father, Son and Holy Spirit. Lutherans find no Scriptural restrictions on the way in which the water is applied and therefore use and accept baptism by immersion, pouring, or sprinkling. Lutherans believe that Holy Communion [also known as the Lord's Supper, the Eucharist, the Sacrament of the Altar] is the true body and blood of the Lord given and shed on the cross for the remission of sins. Participation in Holy Communion is direct contact with Jesus Himself, who comes among us to forgive our sins and to help us to live lives in the service of God. Lutherans believe that God's people respond to His love in worship and service. Lutherans have continued to employ the historic forms of worship in their Sunday celebrations, and, at the same time, have made provision for informal and more contemporary formats for worship. Lutherans believe that service to God is always in response to the love and grace that God has shown us and begins with the employment of the skills, abilities, and talents which He has given us. Lutherans express their service to God in their work, at home, and in leisure activities. Part of their service takes place in assisting the church to carry out its responsibilities, and part in participating in charitable and community activities. 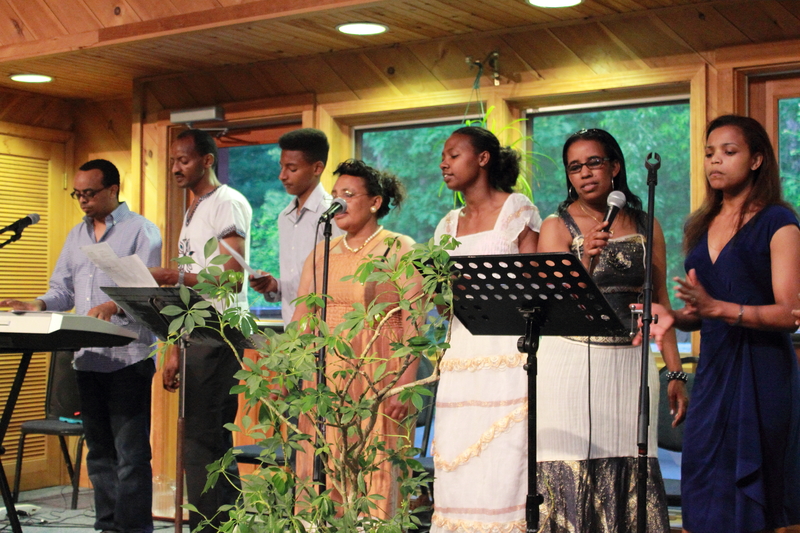 Ethiopian and Eritrean worships in their native language weekly on Sundays at 4:00 pm. 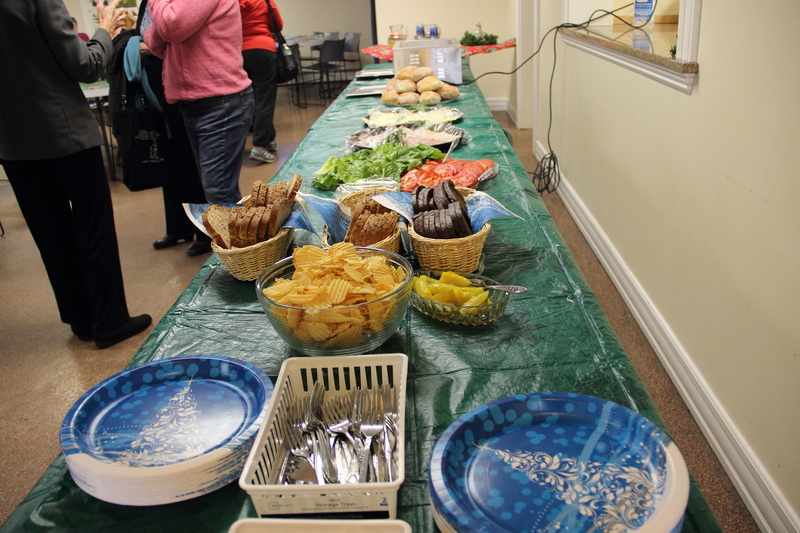 Our community meal partnered with Wayside Food Services is now held at the Westbrook Community Center, 426 Bridge Street. You can enter the center through the front door or directly to the meal site from the right side entrance. The Community Center space is large, with on-site parking. If you would like to volunteer, contact Jane or Ted.